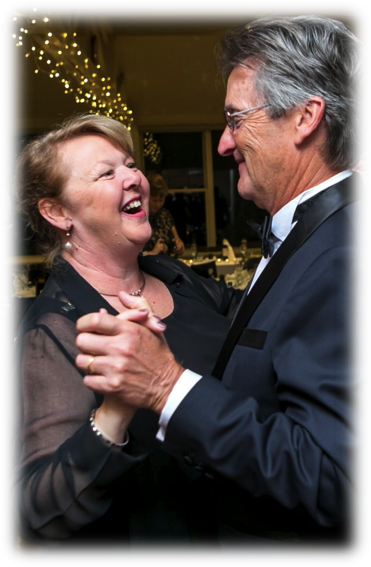 Bass Hill RSL Youth Club Ballroom Dancing was founded in 1990 by husband and wife dance duo David and Susan Wilson. Susan began her Ballroom blitz as a child in the RSL youth clubs and continued through the 1970’s and 80’s. She honed her skills, in high stakes competitions around Australia and through vigorous training under some of the biggest legends of Australian dancing including Lesley Billinsley at Fairfield RSL Youth Club, Ray and Margret Reeve in Wollongong, Stan Hilyander, Arthur & Linda Cornwell, Peter & Rosalyn Smith and Phillip Logan to name a few. Throughout her professional career, Susan enjoyed working alongside the likes of Leoni Snook, Geoff King and Stefano Olivieri. By Susan’s side, David was the perfect match, playing dance DJ for Thursday night classes and lending his services at competitions. He always had the newest mainstream hits to dance to as well as all of the classics. David’s involvement wasn’t just limited to the turntables, he always volunteered for the administrative committee and as a Dance Supervisor to the kids. David also entered into senior events at many competitions. Through her dedication, enthusiasm and passion, Susan inspired generations of children to not only to be the best dancers but to be the best people they could be. In 1998 Susan and David lead a team of 25 dancers on an extremely successful two week Dance Tour of Japan. Susan and David have always spoken highly of dancing and all the children that she was lucky enough to train over the years. Susan still continues as a member of the Australian Dancesport community and still enjoys adjudicating dancing events. David and Susan have now retired and relocated to Coffs Harbour. They have taken on the next chapter of their lives becoming respite and emergency foster carers for children.